Bit harsh to include Bus into this He was a Stuart Gray signing that was highly rated in Romania who many were liking to the Romanian that played for West Ham (radicoiou or something like that). It never worked out for him here although It didn't help that he played on a shocking pitch That miss at Newcastle takes some doing! That period in December, we played 4-3-3 when we beat Wolves 4-1 and Birmingham 3-0. Both games could and perhaps should have been 8 or 9. The attacking football was superb - then came Middlesbrough away. The second 3-0 win over Birmingham flattered us big time. We went 1-0 up through Rhodes after a few minutes and then it was one way traffic. They wouldn't have scored in a brothel that game. Didn't they hit the woodwork 4 times? The Cardiff win i'm talking about was the 1-0 where Forestieri scored with the diving header. Great opinions by the way! I see where you are all coming from with regards to Hoopers intelligence in particular. Yes we certainly did miss his presence against Huddersfield. I will disagree with the opinions that we'd have won the play offs that season with Hooper in the side given how we played in the play offs the season before, which included Gary Hooper in the team. I remember the play offs being Carlos' "Achilles heel" - in particular that 'Sheffield United style' performance in the play off final. His 'too scared to lose' tactics in my opinion cost us both seasons. Some of the attacking football we played under him was the best i've seen for donkeys years yet for some unknown reason, disappeared. There's an argument there that some of those wins came around when Hooper wasn't even on the pitch. The winners against Cardiff and Ipswich for example came about when Hooper was off. I may be wrong but the Cardiff game i'm certain was won after Hooper was substituted. There's no way with Hooper in the side, that idiot would have changed his approach at Huddersfield. To go to a side that was playing a rookie 17 year old keeper in net and against a side that you've done the double over and play a 10-0-0 formation is ridiculous. Even in the second leg, his approach was shocking! Playing for a 1-0, keeping things tight when you're the home team!!!! They were more likely to score, going for it and then we got an undeserved lead. Carlos Carvahal cost Sheffield Wednesday promotion that season. Gary Hooper in the side wouldn't have made a single bit of difference. If we can turn around a 4 point deficit with 3 games to go, then a 6 point gap with 5 games remaining is definitely doable. 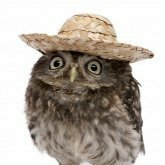 DorsetOwl says well played tonight!!! Aaah that pre-season Trying to sign Michael Mols, Dani, Egil Ostenstad, Roy Makaay and Henrik Larsson from memory. It was nice seeing us trying to sign a quality striker between 4 to 6 million to partner Carbone In the end we signed De Bilde and Sibon. A front 3 of De Bilde, Sibon and Booth - no wonder why we were relegated! I bet he's looking forward to his next game for Scotland Against the mighty footballing nation that is Krakozhia Wonder what the odds are for a Krakozhia victory??? They must be the favourites for the match.